BlackBerry Javelin heading to T-Mobile | BlackBerry Blast! 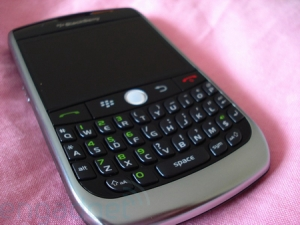 According to BlackBerry News the BlackBerry Javelin will head to T-Mobile. Recent API for the device includes T-Mobile WLAN error codes obviously indicating which carrier will get the Javelin. The Javlin will also feature a "Safe Mode" function that can be engaged by holding the Escape key during start up.